Zain, a Middle Eastern mobile communications company based in Kuwait, is creating waves with a counter-terrorism music video released to be viewed during Ramadan. The three-minute video portrays a would-be suicide bomber as he moves toward an attack, and the Arab community that tries to dissuade him. The bomber walks through the streets and rides on a bus, dressed in an explosive vest. He is confronted by children, including a child actor playing Omran Daqneesh, a child caught up in the aftermath of an explosion in Aleppo. The film features Nadia Al-Alami, a bride who survived an attack at her wedding in Amman that killed 36, Haidar Jabar Nema who lost his son in the the 2016 car bombing in Karrada, Baghdad that killed over 300 people, Ibrahim Abdulsalam, injured in the 2016 bombing of the Imam Al-Sadiq mosque in Kuwait. 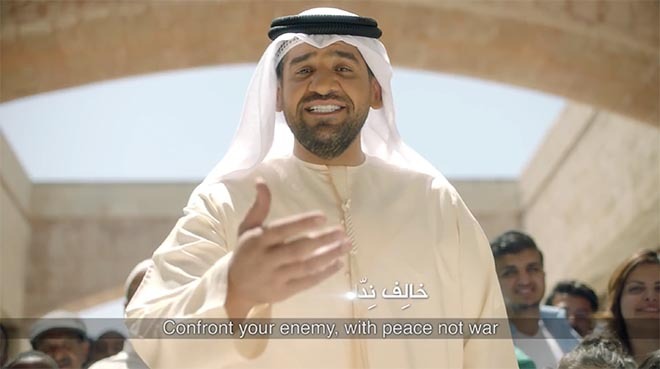 Emirati pop star Hussain Al Jassmi appears as the voice of the growing crowd, calling for a response of love and peace. 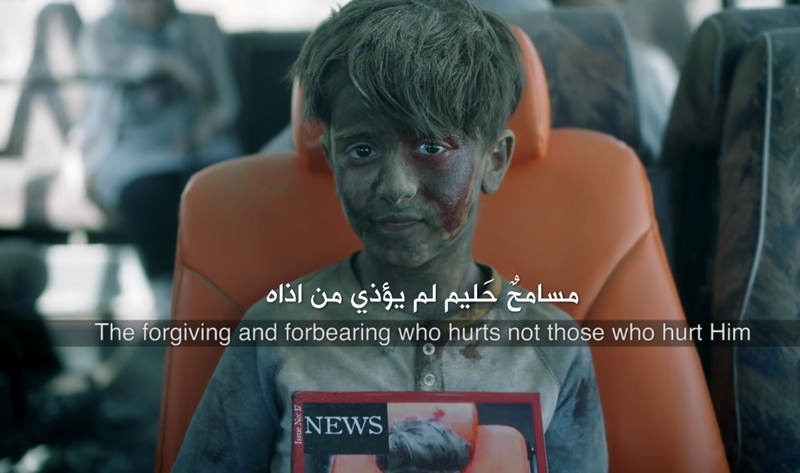 While the music video has had over 6.5 millions views and been affirmed by many, there have been concerns expressed about the appropriation of the image of Omran Daqneesh who was caught up in the effects of a civil war. Filming was produced at Joy Productions, Kuwait, by creative director May al Saleh and director Samir Aboud. Music by Heba Mishary Hamada (lyrics) and composer Bashar al Shatti was performed by Hussain Al Jassmi with producer Rabeea Alsaydawi.